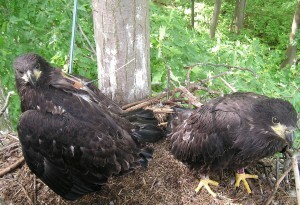 Bald eagle chicks in nest – The chicks have been banded, and the eagle on the left has been fitted with a light-weight satellite transmitter. Photo by Bryan Watts. 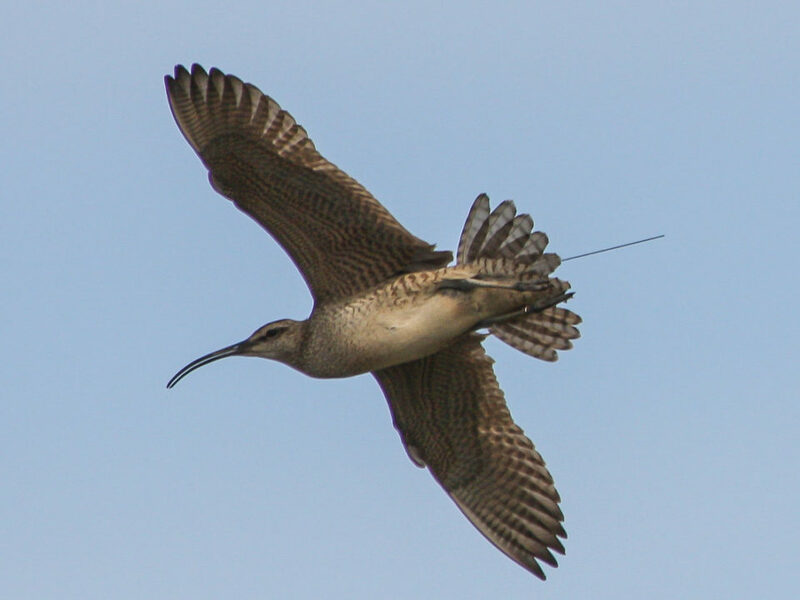 The tributaries of the Chesapeake Bay host large populations of migrant and post-nesting bald eagles in winter and summer seasons. 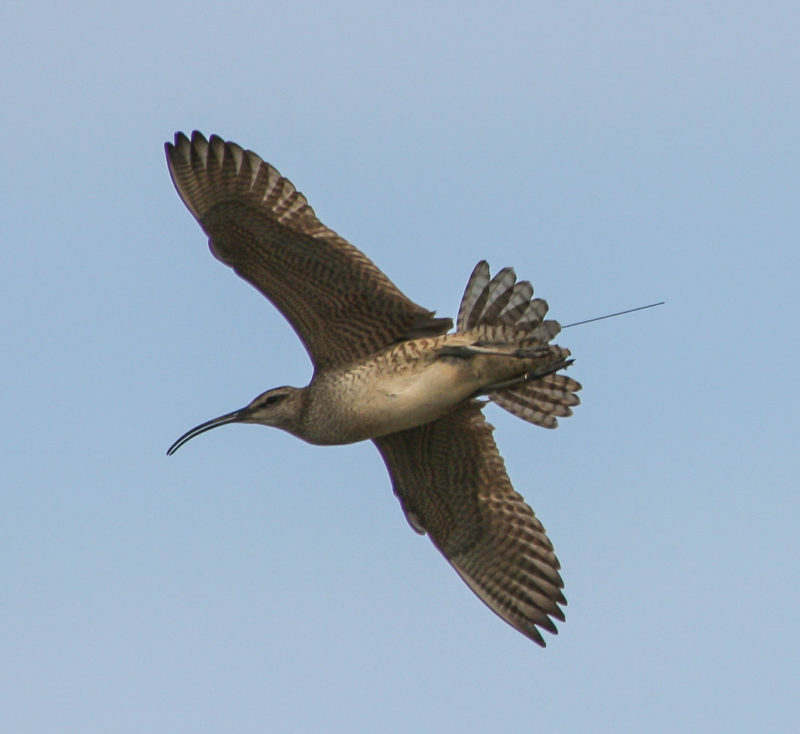 Eagles from adjacent regions along the Atlantic Coast converge on the Chesapeake Bay throughout the year attracted by the abundance of fish and waterfowl prey and the temperate climate. In spring, eagles from the southeastern US migrate north to spend summer months in the Bay. In fall, eagles from the northeastern US and Canada migrate south to the Bay for the winter months. Because the Bay supports these three populations of eagles (Chesapeake Bay residents, southeast migrants, northeast migrants), it plays an important role in the recovery and continued success of the bald eagle in eastern North America. 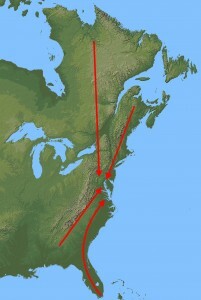 Map showing the convergence pattern of bald eagles on the Chesapeake Bay region. Map by the Center for Conservation Biology. 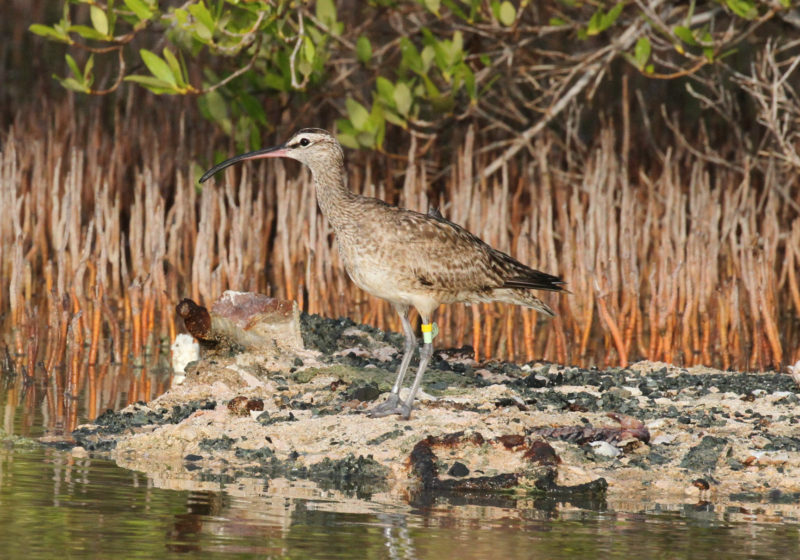 Eagles concentrate in the low salinity waters of the Bay where fish productivity levels are highest. 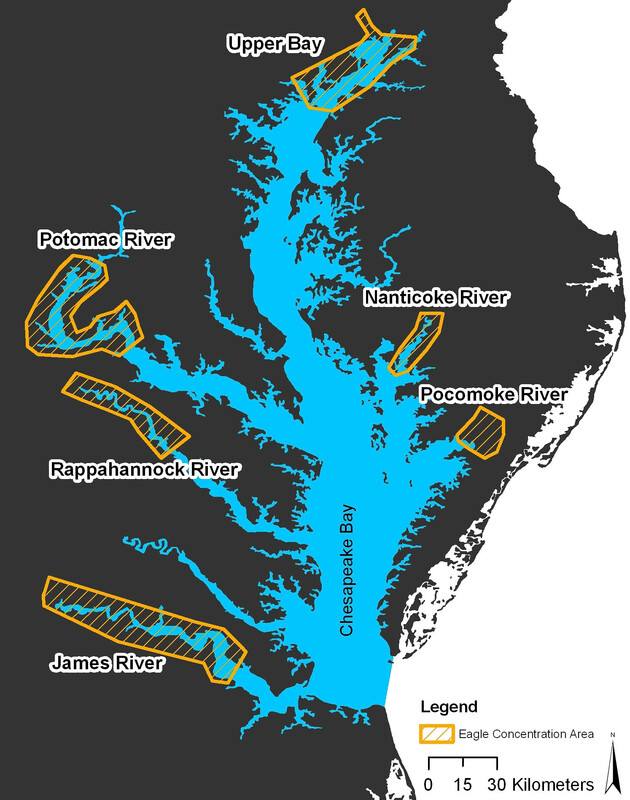 These concentration areas are located along the upper James River, Rappahannock River, Potomac River, Pokomoke River, Nanticoke River, and upper Chesapeake Bay. 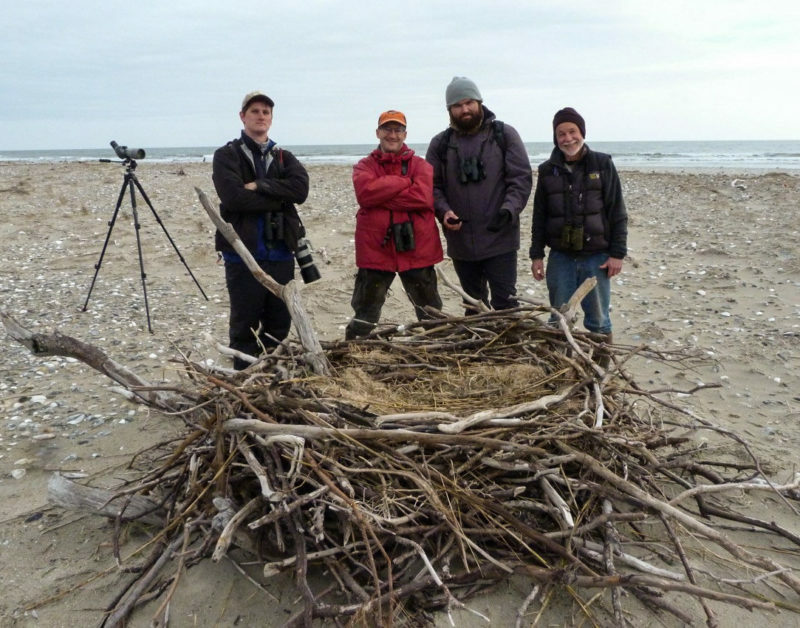 CCB conducts seasonal boat and plane surveys to count eagles in concentration areas. Some concentration areas like the James River can support over 400 adults, immature and juvenile eagles at one time. Because of the mixing of local and migrant populations, it is difficult to determine how many eagles are using a concentration area during a season without being able to track individual eagles. CCB is tackling this problem by actively color marking eagles in concentration areas with purple alpha-numeric bands (see Band Resight Instructions for photo and directions on resighting). 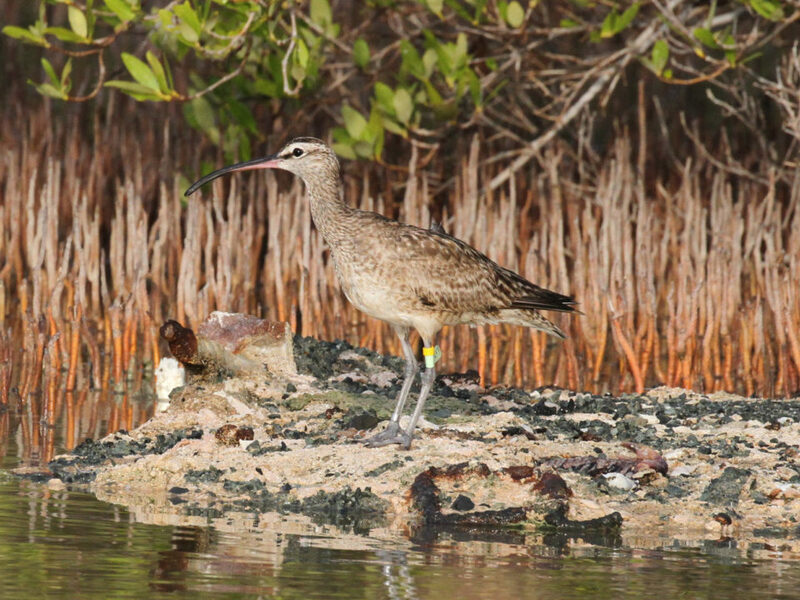 Bands are resighted by bird watchers and photos of the bands are sent to CCB with details on the observation and location. Conowingo Dam (click to see GoogleMap) in the Upper Bay eagle concentration area is an excellent place to watch eagles up close and photograph color banded eagles. Color banded eagles from other states are frequently resighted at the dam including eagles from New Hampshire (black), Ontario (black), New York (blue), Massachusetts (gold), New Jersey (green), and Maine (red). These band resights are valuable data that allow biologists to track movements of local and migrant eagles within the Bay and along other areas the Atlantic Coast. Eagle concentration areas (indicated by yellow hatch) in the Chesapeake Bay – Conowingo Dam, a great place to photograph eagles, is located in the Upper Bay concentration area. Map by the Center for Conservation Biology. The following publications on eagle concentration areas are available upon request, Please email conbio (at) wm.edu. 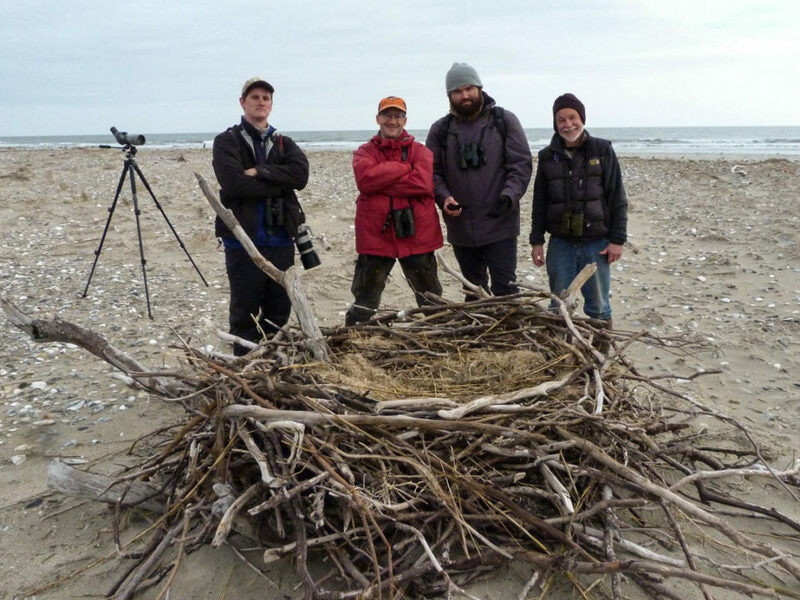 the future of Bald Eagles in the Chesapeake Bay. Waterbirds 30:25-38.
concentration Area. The Raven. 70:18-23. William and Mary, Williamsburg, VA. 52 pp. CCBTR-98-02. College of William and Mary, Williamsburg, VA. 65pp. CCBTR-94-01. College of William and Mary, Williamsburg, VA. 13pp.